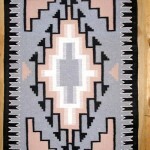 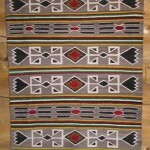 Weavers of Raised Outline Navajo rugs employ an interesting weaving technique that results in a design with a three-dimensional appearance. 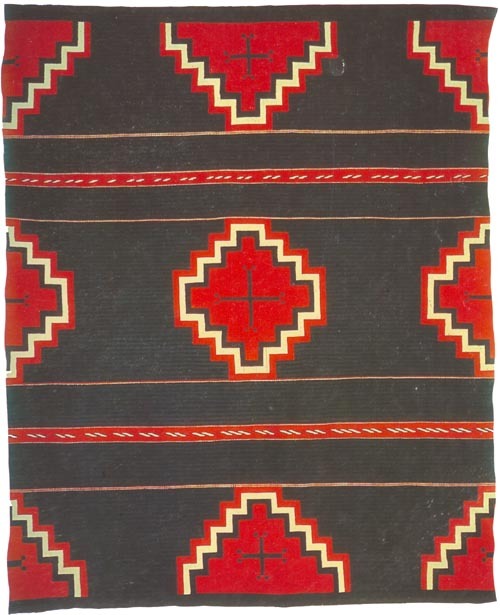 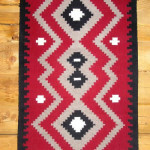 A ridge of weave outlines the design elements, and therefore allows paler background yarns greater distinction, producing an elevated outline design, and characterizing Raised Outline Navajo rugs. 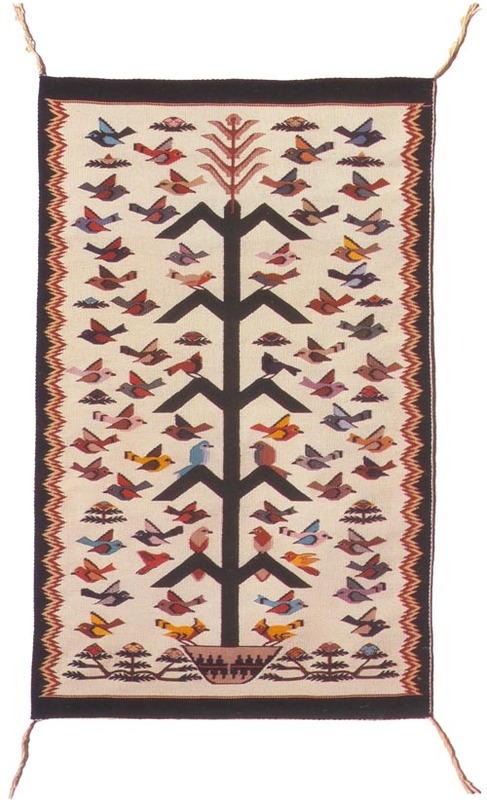 The Bird rug is a well-known traditional pictorial rug design. 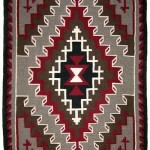 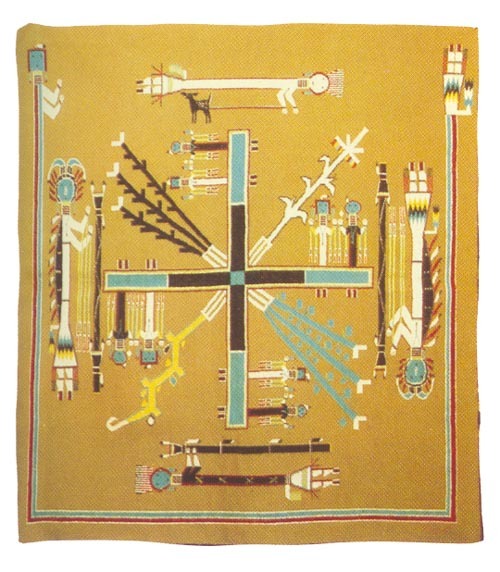 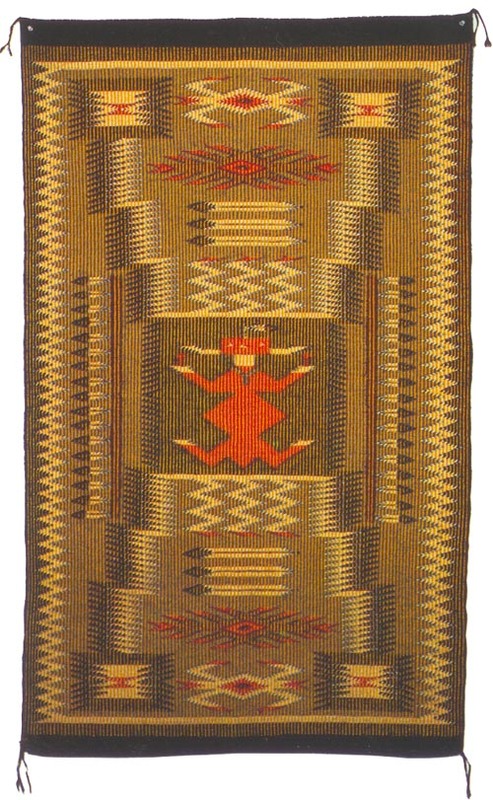 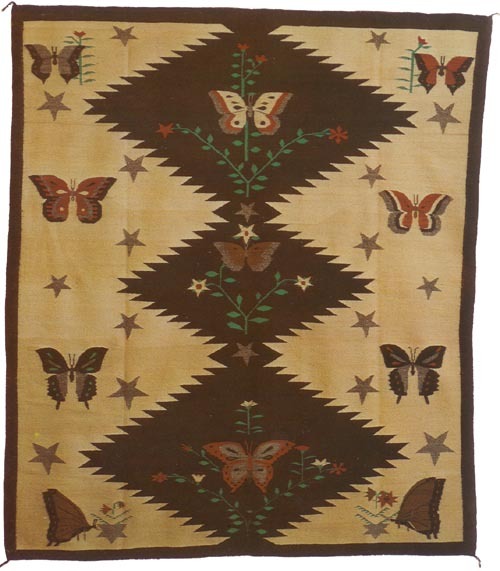 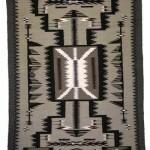 This is a popular theme of pictorial Navajo rugs, with a pale background, depicting a green cornstalk bearing birds.